Streaming video recorder is a kind of program which enables users to record videos from video-sharing websites like YouTube, Dailymotion, Yahoo, Metacafe and more. For giving more convenience to users in offline viewing, some programs also attach convert, edit or other features. 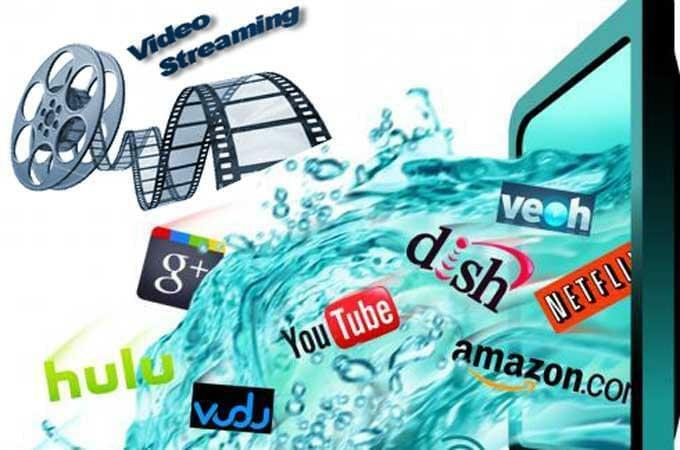 With an online video record program, you can record streaming video off Internet and save it in your PC. A powerful one even can help you convert videos for your portable devices, then you are allowed to watch fantastic videos anytime and anywhere. In a word, video recorder is an indispensable tool to every video lover. Here, I’ll give a brief introduction of 5 workable video recorders. You can have a quick look and choose a suitable one for yourself. Apowersoft Streaming Video Recorder integrates video downloader, screen recorder, converter and editor in one tool, it means you can complete various kind of tasks with the help of this program. The video recorder has capacity to record online videos from almost any sites. It supports you to download HTTP, MMS, RTSP, RTMP videos on YouTube, Veoh, Hulu, ABC, BBC, CBS and tons of sites. Advanced downloading technology makes the recorded video quality keep the original high definition perfectly. While downloading, you can watch the video with the built-in media player. Record Screen feature do you a favor when you desire to record live streaming video from Twitch.tv, Ustream, Justin.tv. Moreover, the embedded video converter facilitates you to convert videos between numerous video and audio formats such as MP4, 3GP, AVI, WMV, MP3. 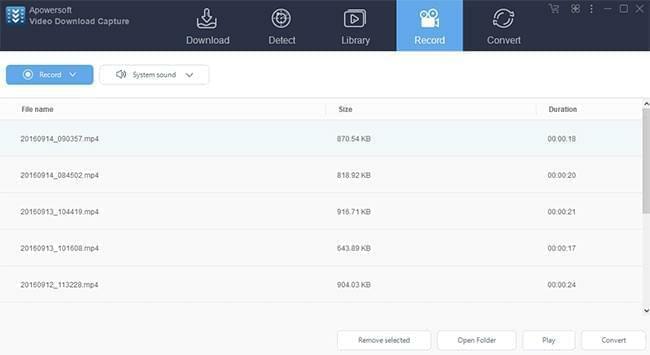 The download manager provides you the ability to download online video and audio streams from thousands of popular sites. It is compatible with all the browsers and super easy to use. Just open an online video and play it, after you click Start Recording, the program will copy the video and save it to your local disk. While downloading, it can auto-name the downloaded video files smartly. Apart from the wonderful video downloading function, Video Download Capture also performs perfectly in recording streaming video from internet. With the built-in video recorder, you can capture screen activity in multiple modes like full screen, regional area, web cam and around mouse. Plus, it comes with some editing options during recording, which allow you to mark the screen and make some annotations. If you want to accelerate your download jobs, the ideal choice is using Internet Download Manager. It is a full-featured tool and has been evaluated as the fastest video recorder which can increase download speed by up to 5 times. The resume downloading function assist you to restart interrupted downloads due to network or computer errors. It is a safe program that will check virus and stop to download them while working. The new versions added FLV grabber, and you can use it to download flash videos from video websites. To Mac OS users, Jaksta is the best way to record streaming video, audio and all kinds of media files for you. Once running Jaksta, it will save videos from a variety of sites as they play on your Mac. After downloading, these files can be converted to common used formats by the program and then transferred to other devices like iPod, iPhone, iPad, Apple TV or burned to a DVD disc. Comparing with other Mac video recorders, Jaksta works with more sites and video encoded formats. 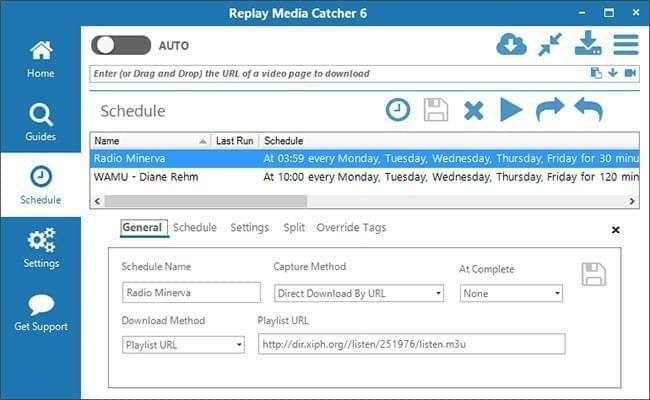 As mentioned above, Applian Replay Media Catcher, Video Download Capture, Internet Download Manager and Jaksta Online Media Downloader are all great software to record streaming video. Which one is your ideal program? Download it and have a try!